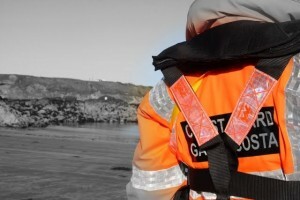 The Skerries Coast Guard team will once again be taking part in the annual St Patrick’s day parade in Skerries, The parade is organised by the Skerries Chamber of Commerce with countless local volunteers assisting with stewarding. All parade entrants and floats will assemble from 1:30pm at the South Strand, where the judging will take place before the parade starts at 3pm. The Irish Coast Guard’s Dublin based Sikorsky S92 helicopter is also expected to perform a dramatic flyover of the Strand Street / South Strand Street area just as the parade begins at 3pm. The parade will depart the South Strand assembly area and will make its way past the Monument and travel up Strand Street, past the viewing platform at St Patrick’s Church before finishing up at the Skerries Mills carpark. This is always an extremely popular parade and there are plenty of excellent viewing spots for the crowds along the route. 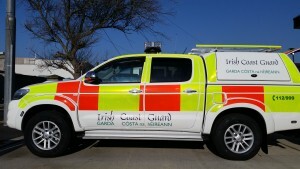 This entry was posted in Media and tagged parade, skerries coast guard by Skerries Coast Guard. Bookmark the permalink.